Multi pack available 68673 . 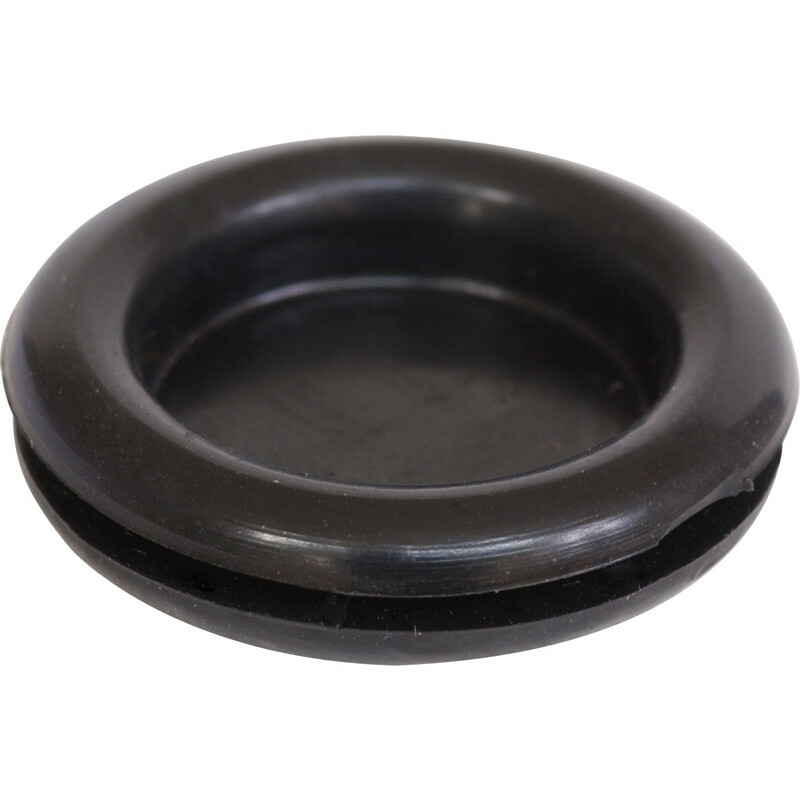 Rubber Grommet 25mm Blind (100 Pack) is rated 4.8 out of 5 by 9. Rated 3 out of 5 by Proper Job from Not whats advertised!!! 20mm blind grommets - Not whats advertised in the picture!!!!!! Slightly smaller than a standard open grommet and a bit flimsy. Pushes straight through a 20mm knock out, if you apply any pressure. The blind side has a very thin lip, which gives way if you apply pressure. Fine if you want to keep spiders out, NOT GREAT if you want to keep prying little fingers out! Rated 5 out of 5 by Flux from A lifetimes worth of grommets! Just needed two grommets for a metal back box and now i have 98 spares! Decent quality and does the job, just wish they had 10-packs. Not expensive, but a little bit wasteful. Rated 5 out of 5 by N of Fletton from Open grommet Great product at a very good price. Rated 5 out of 5 by Bill 1 from Wot can I say! Good, clean, no trimming required. does the job it is designed for. Rated 5 out of 5 by Kitch from Well impressed! I had hoped for something that would do the job, so imagine my delight when I received these and found they massively exceeded my expectations! The shape is just right and the design looks and feels well balanced. It has has a quality finish, smooth but not too glossy. I found the elasticity to be just sufficient and left the grommets secure once placed. Everyone should buy these, even if you have no sharp edges to protect - just wear one and look great!